Matt Hutchinson captured this lovely image just as the group was heading out for a night dive. It’s a tough call sometimes…Barrel Bar or night dive?! Are you keen on becoming a PADI Divemaster? 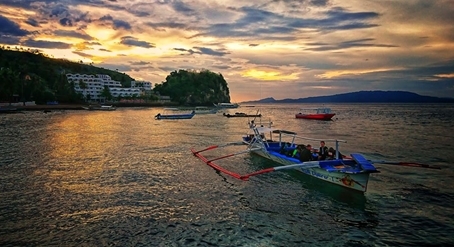 Would you like to spend 2-3 months in Puerto Galera Philippines with Asia Divers PADI CDC center? If the answer is yes, we are currently looking for enthusiastic and self-motivated individuals who are eager to experience what it is like to work in the scuba diving industry! Apply for the Divemaster Internship with Asia Divers, gain the first professional level in the diving industry and join the PADI family. Contact instructors@asiadivers.com for details.